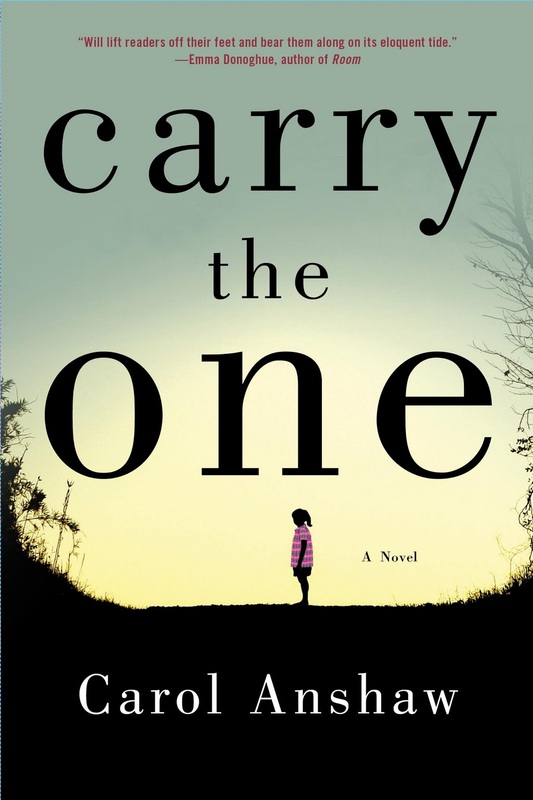 I finished Carry The One nearly a month ago, but I've had a hard time trying to figure out how to write about it. It's well-crafted, beautifully written and nicely-paced. The characters are engaging and the story believable. I have a lot of really complementary things to say about Carry The One, but ultimately I didn't love it. Carry The One is a family drama that focuses primarily on three siblings: Carmen, Alice and Nick. The story begins after Carmen's wedding, when Nick, Alice and their friends and girlfriends load up in a car and go racing into the night. When they hit and kill a young girl, the guilt follows them for the rest of their lives. The story follows Alice, Carmen and Nick for the next 25 years as they fall in and out of love, live through failure and success and seem to find some kind of resolution in the end. This is a book about characters and this may sound strange, but I know it's a good book when I don't like one of the characters. I'm not talking about when a character does something irritating or is just kind of annoying, I'm talking about when a character is so fully-realized that I feel like I know them and I understand them. In Carry The One that character is Carmen. She's the kind of person that is never happy with what they have, never happy with the current state of the world, and never really appreciates all of the wonderful gifts in her life. She's a mother, a crusader and is supposed to be the sensible one of the bunch. She the least obviously affected by the death of the girl, but her struggle is more subtle and her character arc isn't as clearly resolved. Alice is the artist of the family. She spends most of the novel escaping the shadow of her artist father, falling in and out of bed with Maude (who can't seem to fully come out of the closet and whose "fascination with hypothetical versions of herself was bottomless.") and coming to the rescue of her siblings. She's fun and funny, but she also loves harder than anyone else in the book. She loves her siblings, she loves Maude. She even seems to love her parents more than her brother and sister. I feel like I was supposed to love Alice the most, but it turns out that Nick was the one I cared about the most. After the accident, Nick goes from a heavy drug user to a full-blown addict. I felt like his character was built from a flimsy stereotype, but I cared much more about what happened to him. When he's clean he's a very successful astronomer, but when he's using drugs, he's as down and out as it gets. Nick's story is the most heart-breaking because he is unable to channel the guilt and grief he feels over the death of the girl. His only response is to self-destruct. This could have easily been a fluff novel, designed to pull at your heart-strings and manipulate you into shedding tears for two-dimensional characters, but Carol Anshaw pulls it off in way that feels real. I said earlier that I didn't love Carry The One. I've been trying to figure out where the book and I missed each other and I've realized that it just wasn't written for me. I don't know if it's because I'm male and the book seems to be more geared towards female readers or if it's just a matter connecting to the story. Maybe it's both. I certainly think Carry The One will appeal more to women than men, but I hesitate to say that it's explicitly a book for women either. 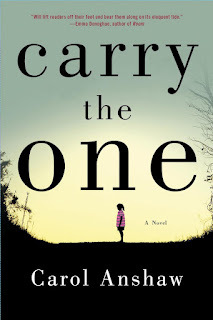 In the end, Carry The One is a good book and I liked it. The characters are strong and relatable, the writing is quite good and the story feels fresh. Some readers will really love this book and others, like me, will probably appreciate, but not ultimately fall for its charms. Book Source: Book Riot giveaway.